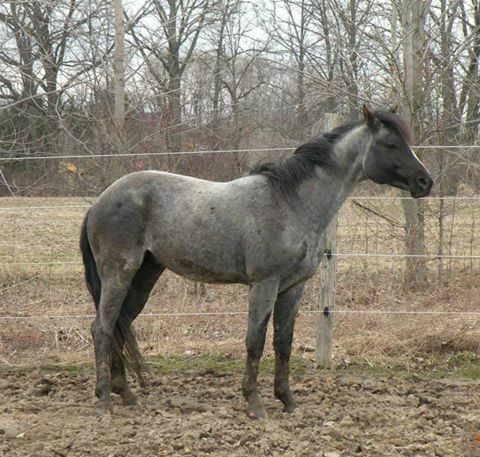 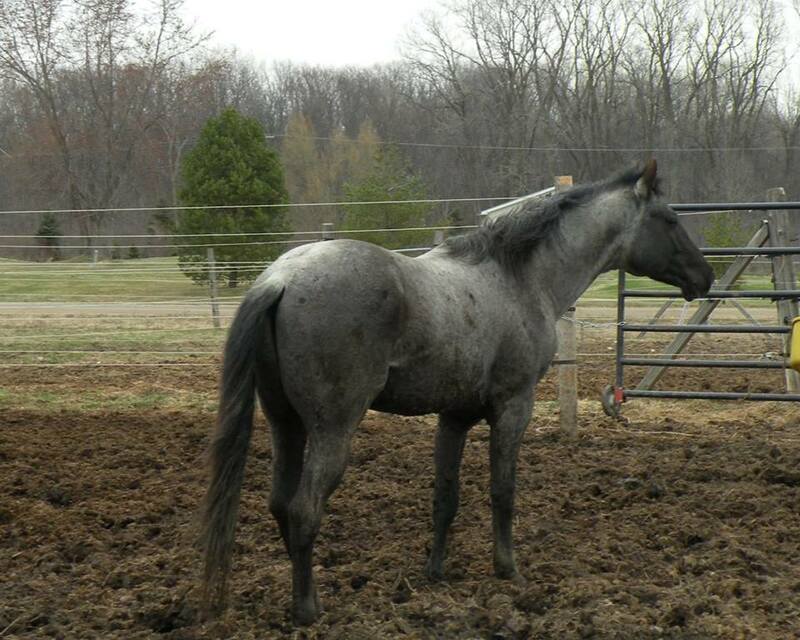 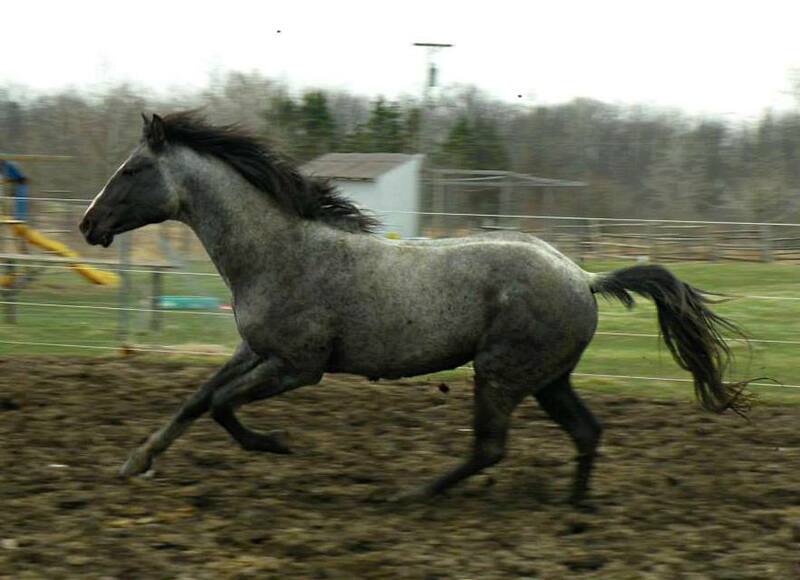 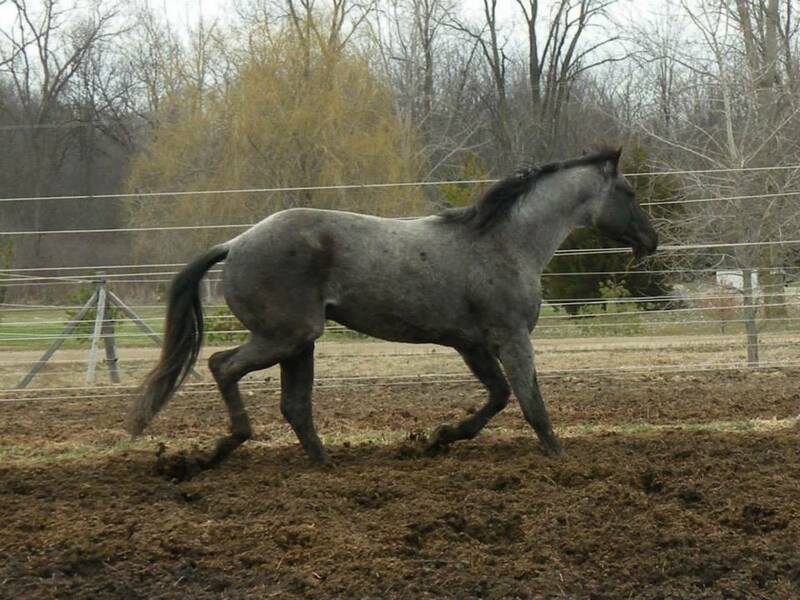 "Levi" is a stunning 2009 AQHA/APHA double registered Blue Roan Stallion. 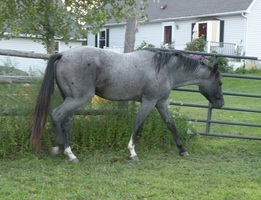 He is Ee, aa, nPrl, nO which means he is a true blue roan that carries a pearl gene as well as a frame gene. 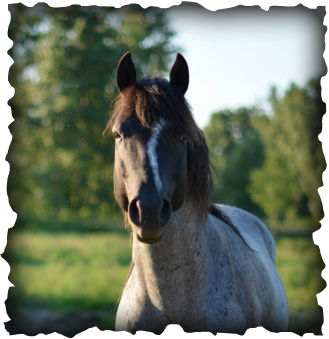 Levi is one of the few black based pearl carriers out there and the only true black that carries roan & frame too. 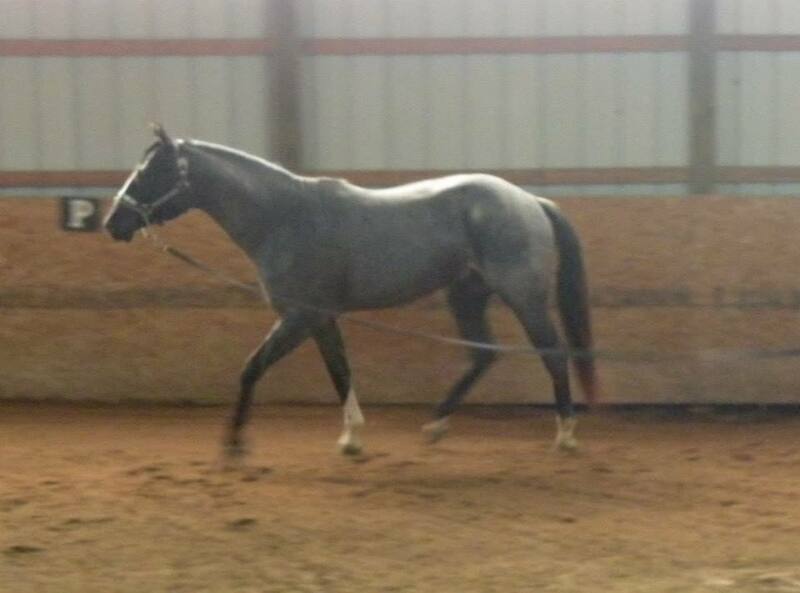 Levi is sired by Mighty Reprint an AQHA/APHA sorrel overo stallion (2007 PtHA Congress Yearling Grand Champion, 2007 PtHA Congress Open Grand Champion, 2007 Int'l Pinto Futurity Grand Champion., 2007 Pinto National Standings 3rd, 2008 Pinto World 3rd, 2008 Pinto National Standings 9th (1 show due to injury). 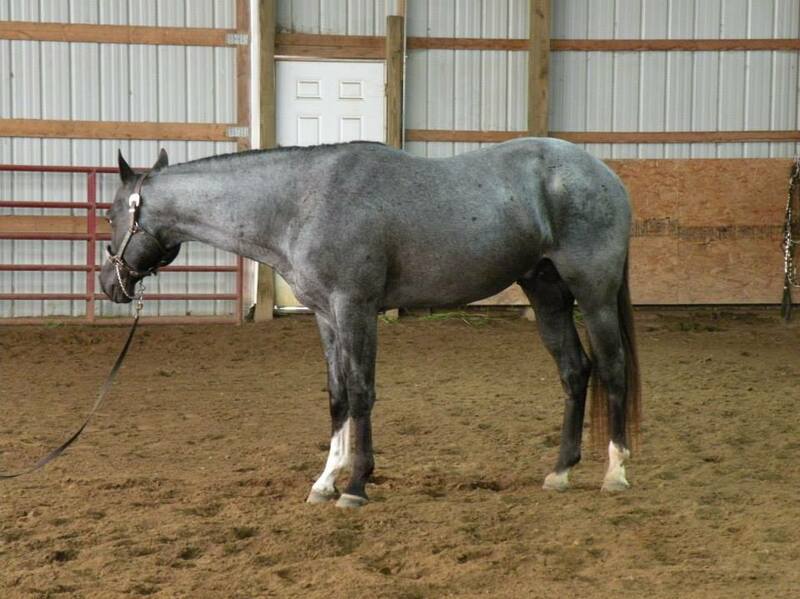 Levi is a grandson of Mighty Awesome (the leading APHA Halter Sire from 1999 thru 2005 Producing 15 World Champions and 19 Reserve World Champions). His Grand Dam is sired by Silent Print, who produced 23 World Champions, and 11 RWC. 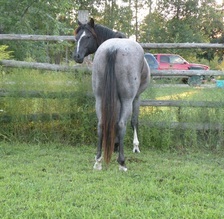 2 of his granddams full brothers are APHA Champions, with ROMs in multiple performance disciplines. 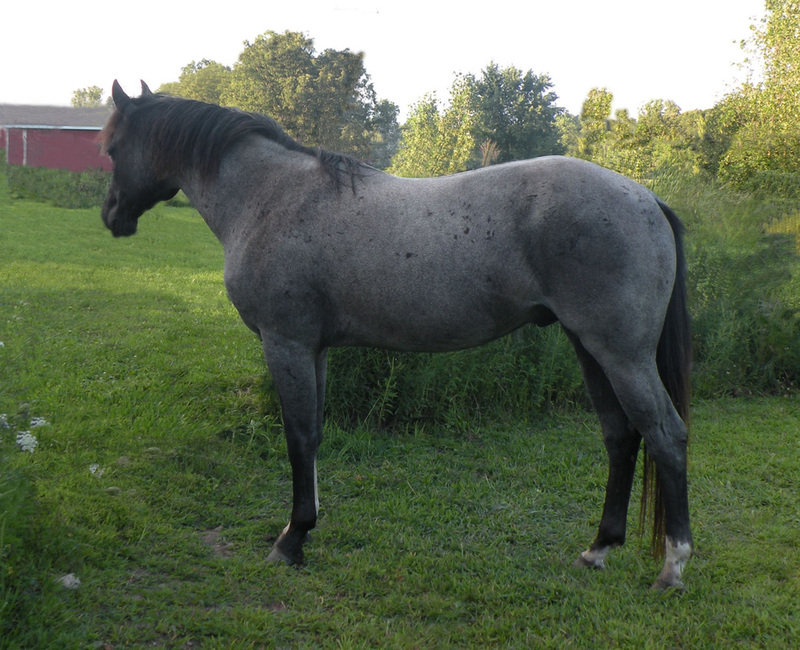 Levi is also a great grandson of Barlink Macho Man (1983 NATIONAL SHOW,1984 NATIONAL SHOw, 1984 NATIONAL HONOR ROLL CHAMPION HALTER STALLION, 266 Halter Pts, 52 Grands, 30 Res.Grands, Earned in 1984 * Limited Show * Retired due to Injury Sire as of 6/30/04 w/393 foals LIFETIME LEADING *2nd OPEN SUPREME CHAMPION SIRE 31 APHA WORLD BUCKLES,32 APHA/AJPHA CHAMPIONS,6 VERSATILITY CHAMPIONS,1 SUPERIOR ALL-AROUND,1 ROM RACE, Total Points: 21,255 points in Halter & Performance 294 ROM's, 115 Superiors Multiple Honor Roll Halter & Performance Open/Youth/Amateur/Futurities). 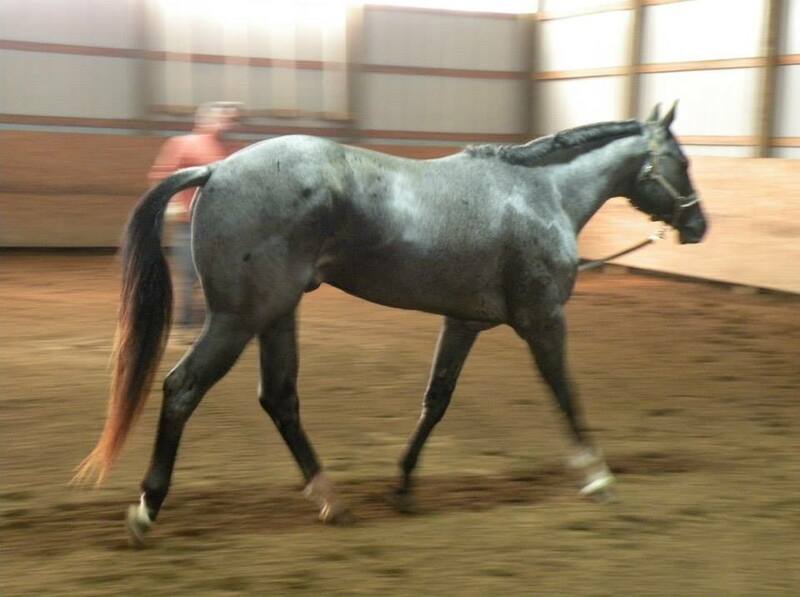 Mighty Blue Print's dam, Irresistable Faith, was sired by Irresistable Kid (Superior Halter, 135 Halter points, 53 Grands/Reserves) by Mr Kid Clue out of Barlnk Barb Bea (Barbie has 94 APHA halter points and her ROM) by Barlink Macho Man. 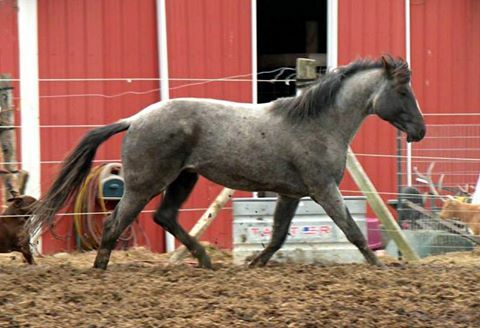 Levi has a strong pedigree of champions that are the best in halter breeding crossed with the famous Weiscamp Skipper W, Sunny Dee Bar breeding to make a World Class producer of versatile foals, that can be shown in many disciplines. 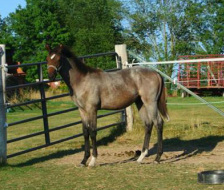 Levi's foals will stun them in the halter pen and then lope their way to the winners circle as 2 year olds! 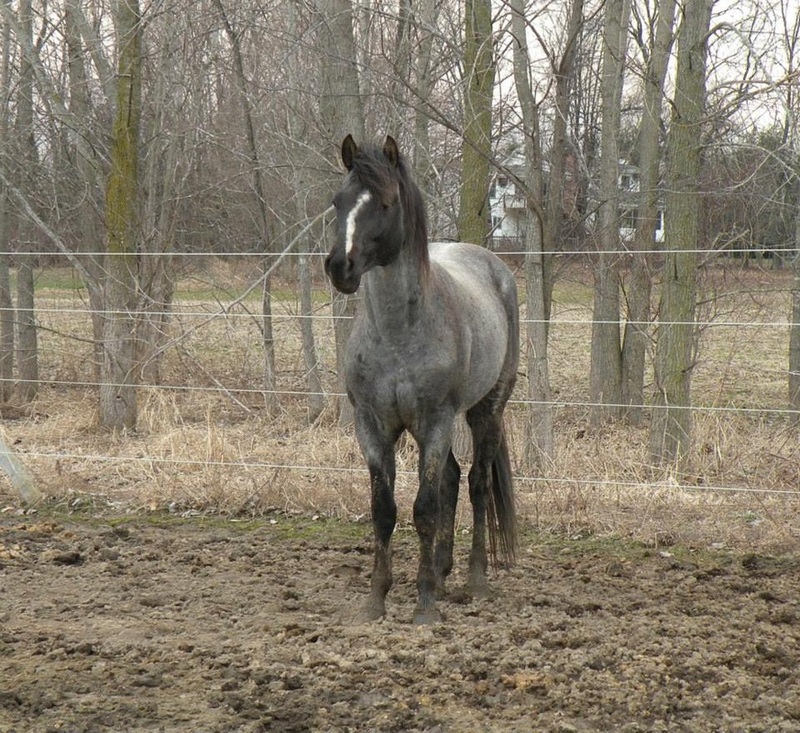 This is a great opportunity for someone looking for a nice all around stallion with color as icing on the cake. 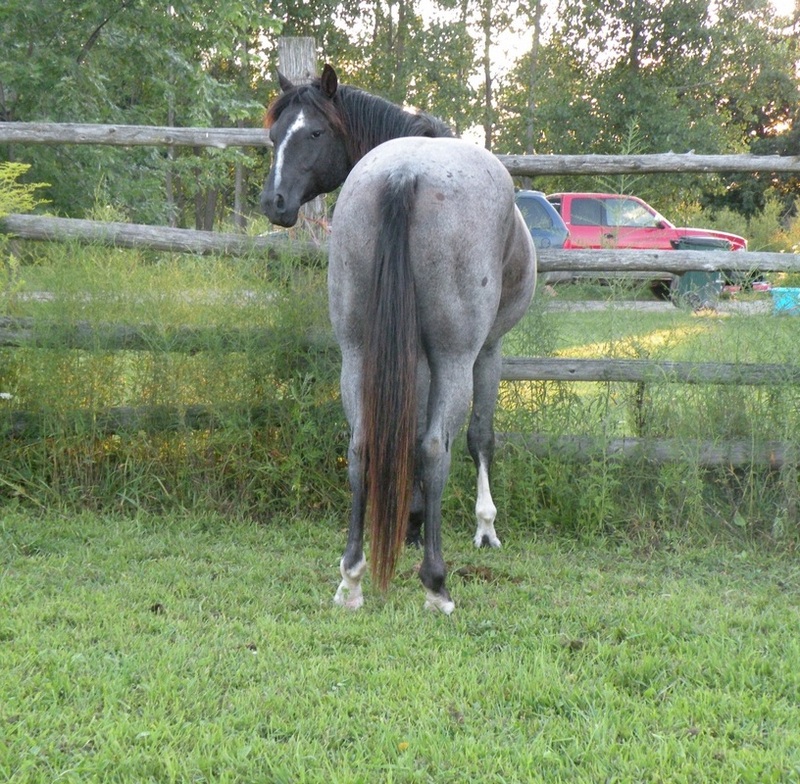 Levi is genetically a one of a kind. 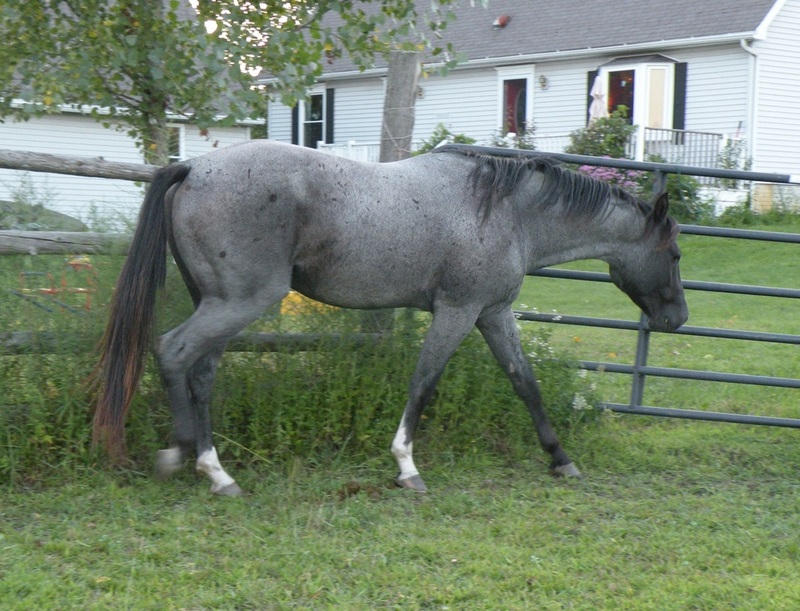 To date he has had five foals all colored. 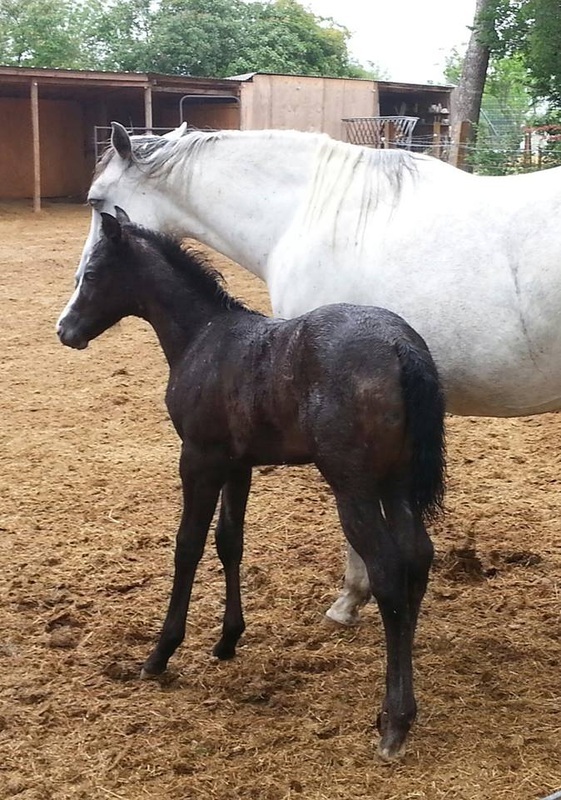 Levi's first foal has arrived & I couldn't be more thrilled! 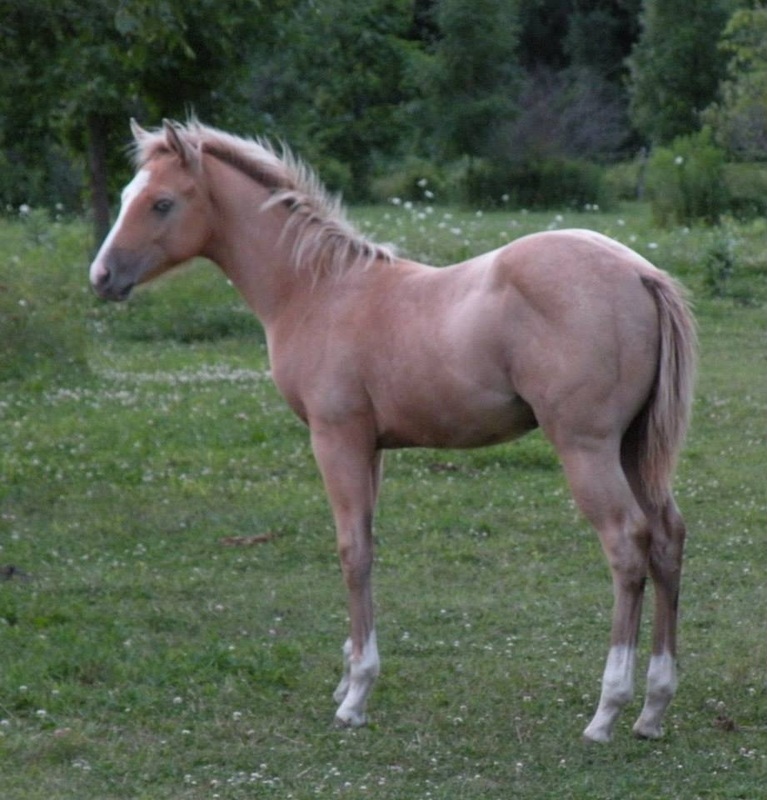 Dallas is an adorable bay colt that carries pearl. 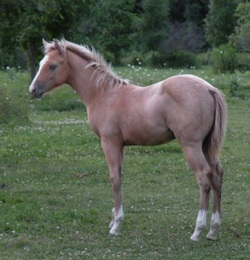 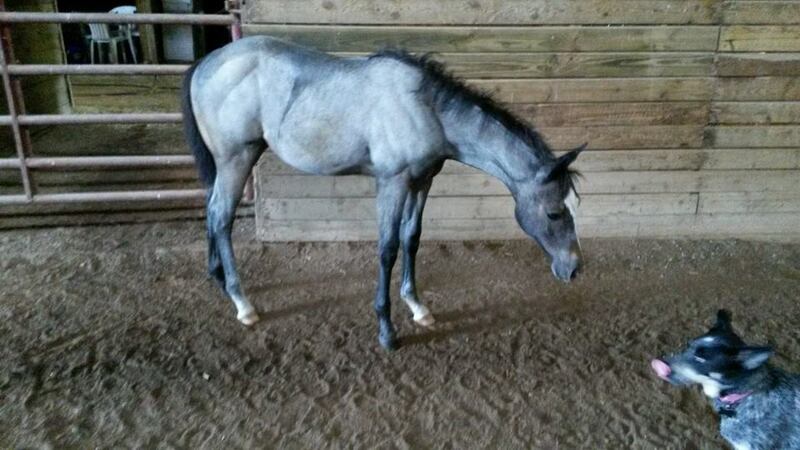 He is super sweet & even as a young foal he has a pretty baby doll head, lean neck, laid back shoulder, & short back.